You are cordially invited to join us for our first ever pop-up shop! We have teamed up with Treyummy and Austin P. Smith Ceramics to bring you this two day event, and we will be hosting it at our new showroom in Camden. Moon Pop will take place Saturday June 18th and Sunday June 19th in Camden, Maine. Click here for all the deets! 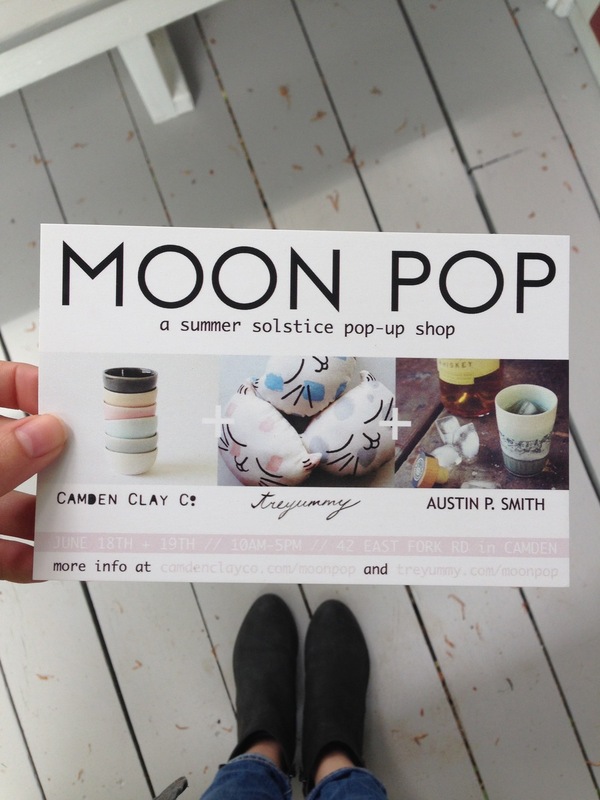 You can RSVP on Facebook, and follow #moonpopshop on Instagram to see what we are making! See you there! All content copyright © 2019 Camden Clay Co.